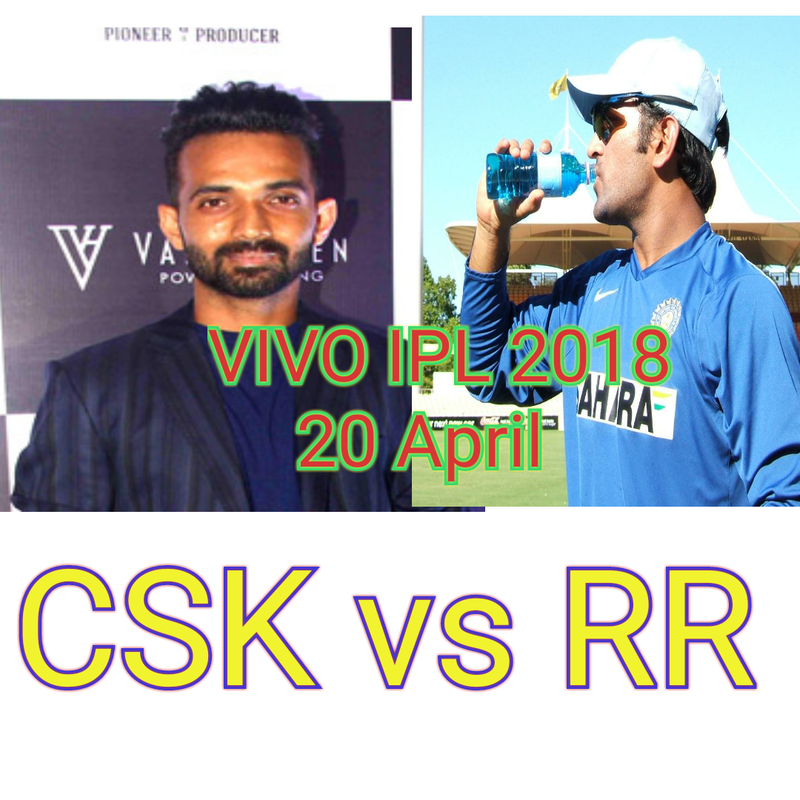 CSK vs RR match being played in Maharashtra Cricket Association Stadium Pune on 20 April 2018. 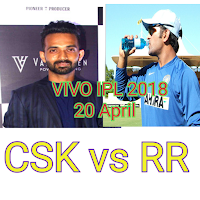 This is 17th match of IPL 2018. Let's start the arrengment of players in both teams. Shane Watson, Ambati Raydu, Suresh Raina, Sam Billing, MS Dhoni, RawindRa Jadeja Dwyne Brovo, Deepak Chahar, Karn Sharma, Shardul Thakur, Imran Tahir. Ajinkya Rahane, Rahul Tripathi, Sanju Samson, Ben Stokes, Jos Buttler, Henerich Klaasen, Stuart Binny, Krshnppa Gautam, Shreyas Gopal, Jaydev Unadkat and Ben Laughing. Ajinkya Rahane captain of RR won the toss and opt to bowl. Shane Watson and Ambati Raydu started the inning of CSK. Raydu lost his wicket and scored only 12 runs in 8 delivery with the help of 2 boundary but Shane Watson still on blast close to century. Suresh Raina played awesome inning of 46 in 29 delivery with the help of 9 boundary. MS Dhoni and Sam Billings didn't play well and scored only 5 and 3 runs. Shane Watson got century in 51 delivery with the help of 9 4s and 6 6s. CSK is at 175/4 in 17 over. Shane Watson got his 3rd century in IPL. Players of CSK played great and blasting inning spacially Shane Watson (106) and Raina(46). CSK scored 204/5 in 20 overs. Ben Laughlin got 2 wickets for 38 and Shreyas Gopal got 3 wickets for 20 runs. Players of RR didn't do well. Only Been Stokes (45) and Jos Buttler (22) crossed 20 . Rahane (16), Jaydev Unadkat (16), and Stuart Binny (10), scored sum useful runs for the team but it was not enough to win. So result is RR all-out at the score 140 and lost the match by 64 runs. CSK won the match by 64 runs.